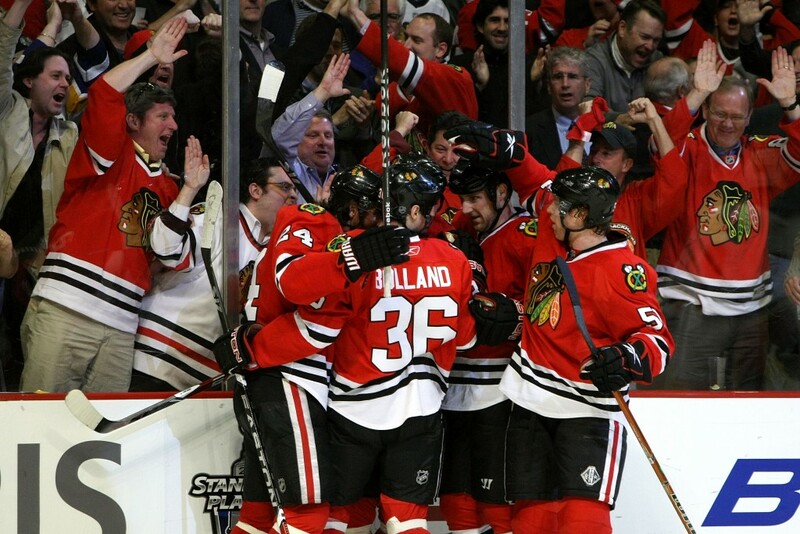 When Burish, Bolland Come Back, Who’s the Odd Man Out? The Blackhawks have the best record in the Western Conference, they’re receiving strong contributions from all four lines, and they’re playing arguably the best team defense in the NHL. It just can’t get any better for Hawks fans, can it? In the last 36 hours, Blackhawks fans have received a lot of good news from their injured reserve list. 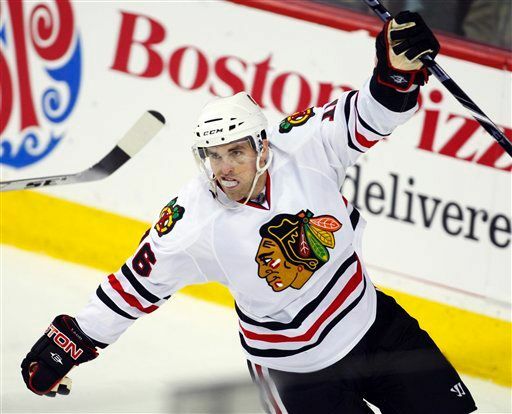 It looks like both Adam Burish and Dave Bolland will be back after the Olympics. So wait… one of the challengers for the President’s Trophy is playing without their second line center and one of their better fourth line grinders, and both of them might be back in time for the stretch run toward the playoffs? You have to be kidding me. That’s great news! Right? When Bolland comes back, he’ll likely slide back into his position as the center on the second line. What hasn’t been determined yet is how that will impact the rest of the lines; Patrick Sharp has been doing a solid job filling in for Bolland, but he’ll shift back to his familiar wing position as soon as coach Joel Quenneville can afford to make that move. The dominoes that will roll after that are where things get interesting for Quenneville and GM Stan Bowman. 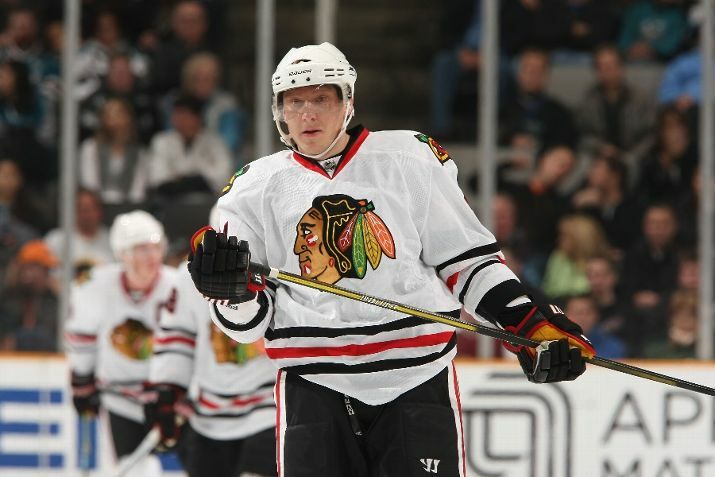 Last year, Sharp played on a line with Kane and Toews, and all three had a great season. Considering that Quenneville appears to be content with Hossa on a second line, there’s an opportunity for Sharp to move back onto the top line. However, Brouwer is having a great season; he already has a career high in goals and is among the team’s leaders in hits. He has brought a physical force to the top line with the two 21-year olds, and Quenneville might not want to mess that chemistry up. The third line has also developed great chemistry, with the speed and puck handling of Versteeg, the size of Byfuglien and the always-in-the-right-place Madden. It’s doubtful that Sharp would slide to the third line considering Hossa and Kane are both right wings and Sharp plays on the left side. If Quenneville decides to leave Brouwer’s physical presence on the top line, Sharp would make a lot of sense opposite Hossa next to the recovering Bolland. 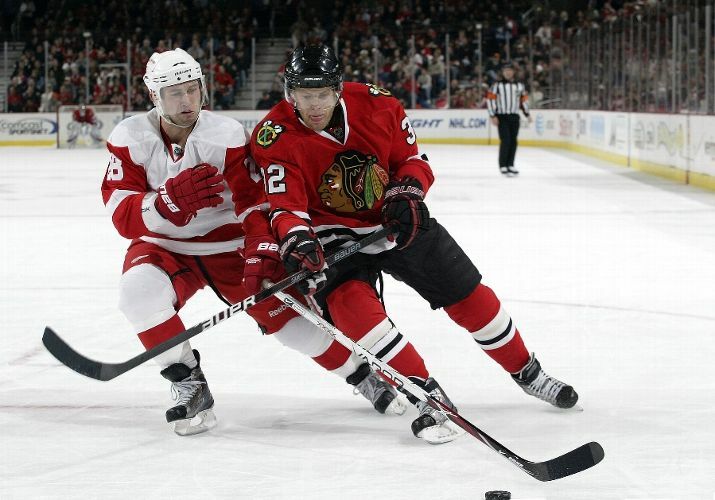 If this hypothetical scenario unfolds, that would push Andrew Ladd to the fourth line. Or could it push Ladd out the door? It’s been discussed more than health care reform to this point, but in case you missed the memo, the Blackhawks are going to need to move some of their payroll for the 2010-11 season off the roster before next year begins. 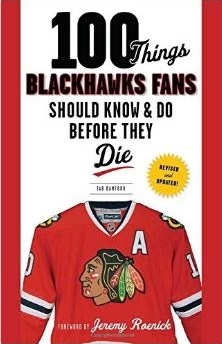 There have been a number of scenarios discussed, ranging from a deal as simple as Brent Sopel being dealt for a prospect or two all the way up to a package including Cam Barker and Versteeg being dealt for superstar Ilya Kovalchuk. The great mystery isn’t whether or not the Hawks will make a deal, but who’s headed out the door and when. The calendar might play a role in Bowman’s decision making process as well. The trade deadling is on March 3 this year, which comes less than a week after the end of the Winter Olympics in Vancouver. During those Olympics, the NHL will be under a self-imposed trade blackout, eliminating the possibility of any players leaving their teams for the Olympics and keeping their bags packed after the games end. So if the Hawks are going to make a move, it will either be before Feb. 10 or quickly in the four days that follow the Olympics. From a schematic perspective, if a deal is made during this season, bringing a new face in before the two week break would make assimilating the new player into the roster easier (assuming the new face isn’t an Olympian). That would give Bowman roughly five weeks to make something happen. It looks like there are two players too many on that list. So who goes? Obviously Bowman will look for the best value in return, but also won’t want to upset the apple cart too much. Age, value and future financial consideration will all play a role when Bowman looks to make a deal, whether it’s during this season or after. Let’s take another look at the lines above with their current age and 2010-11 salary cap number for each player following their name. Obviously, there are players on this roster that aren’t going anywhere either during this season or next summer. Toews, Kane, Bolland and Hossa figure to be untouchable, but as you can see, there are a few players on the roster that are providing great value for their salary. Brouwer, for just $1 million, is a young player that has really started to come into his own this year. It’s doubtful that the Hawks would want to move him. As you can see in bold, there are two unrestricted free agents on the roster currently – Burish and Madden – and three restricted free agents -Ladd, Fraser and Eager – that the Hawks will have to made a decision on either during this season or next summer. Madden took a pretty substantial paycut to come to Chicago on a one-year deal, and it’s doubtful that he would return next year; that takes care of the oldest and most expensive of the group. The rest are why Bowman will have his calculator and phone with him for the next five weeks. Eager is the enforcer on the current roster, spending over 27 percent of his “active” time in the penalty box; he’s played 205 minutes on the ice this year, and served 77 minutes in the penalty box. Considering the more efficient, less penalized physical style of play Brouwer has presented this year, it’s doubtful that Eager will return next year. However, considering Eager has only six points this year, the limited value the Hawks could receive to move his presence off the roster likely wouldn’t offset the loss to the team dynamic. Eager’s probably here for the rest of the season. Fraser is another player that, like Eager, doesn’t fill the stat sheet but his role on the team outweighs the value the Hawks could likely expect in return in a trade. He’s been a key player on the Hawks’ PK this year, and has played solid hockey in the limited minutes he’s received. Whether or not he’s back next year is a separate issue, but it’s doubtful that Fraser goes during the season. Which brings us to Ladd. Ladd’s a bigger forward who has 16 points so far this year (seven goals, nine assists), and is young enough that he could make an impact on another team for a few years in the future. The fact that he’s a restricted free agent also means that, if he’s dealt during the season, the receiving team would have first crack at negotiating a contract with Ladd. At 6’2 and 200 pounds, Ladd could be a top-six forward on many other teams in the league, but is already struggling to get more than 13 minutes per night and will only see his role shrink when Bolland returns. When you add his current salary – $1.65 million – to the equation, the likelihood is that Ladd will be looking for a multi-year deal in the neighborhood of $1.5-2.0 million per season, numbers the Blackhawks certainly wouldn’t spend on a player they can replace from within for half of that cap number. 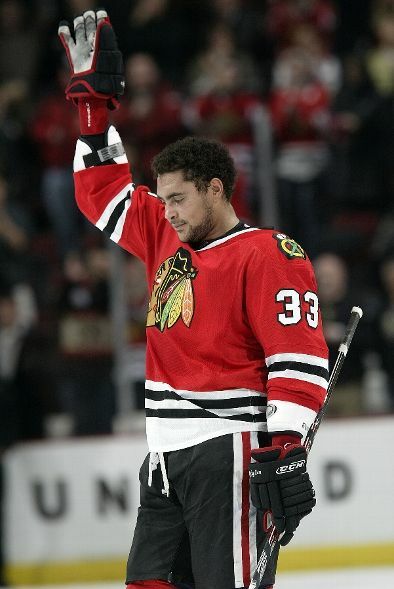 If the Blackhawks look to move another salary off their books for next season, perhaps Sopel and his $2.333 million cap number, before the Olympics, adding a young forward like Ladd to the mix might entice more teams to approach the table. There are a number of veterans that could become available soon that would present the right combination the Hawks are looking for: an expiring contract and a desire to win a championship. Because of his size, age, contract and the reality that he’s replaceable, Ladd might be the most likely player on the Hawks roster to be dealt during this season.